Ahigh quality blend of cork and polychloroprene that withstands high pressures and high bolt loads, particularly in the electrical industry. 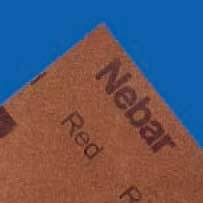 Previously designated Nebar® HP. • Developed for high pressure applications in switchgear and transformers. • High resistance to mineral oils. • Withstands higher bolt loadings than other Nebar grades. Complies with DTD 900/4911; AFS 721; and ASTM F104 line call out F224000M2.